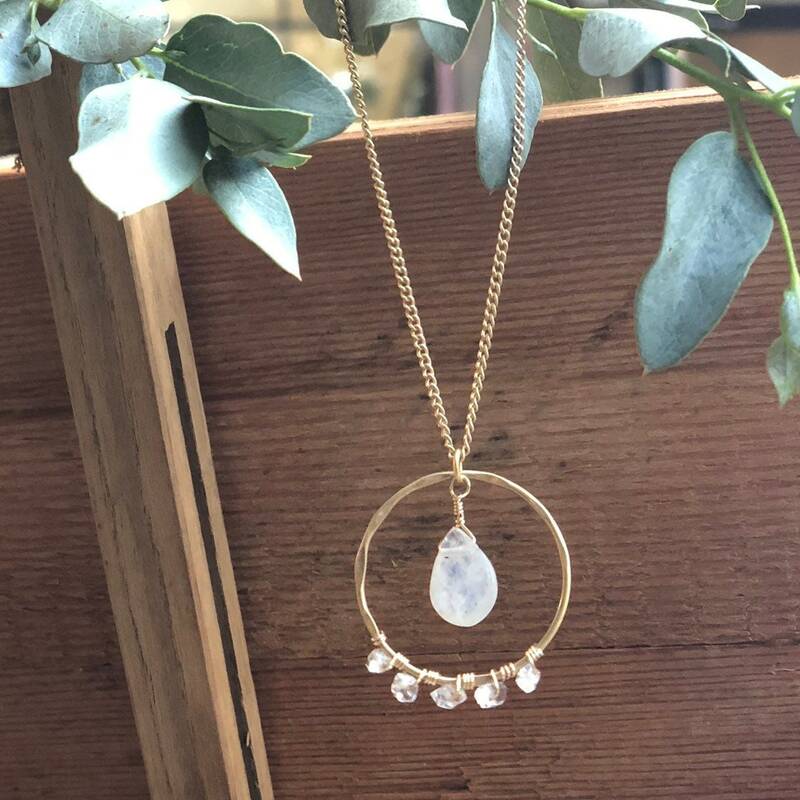 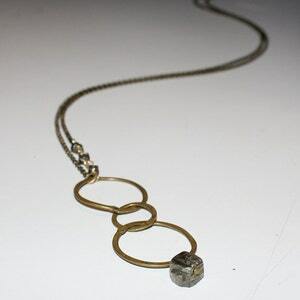 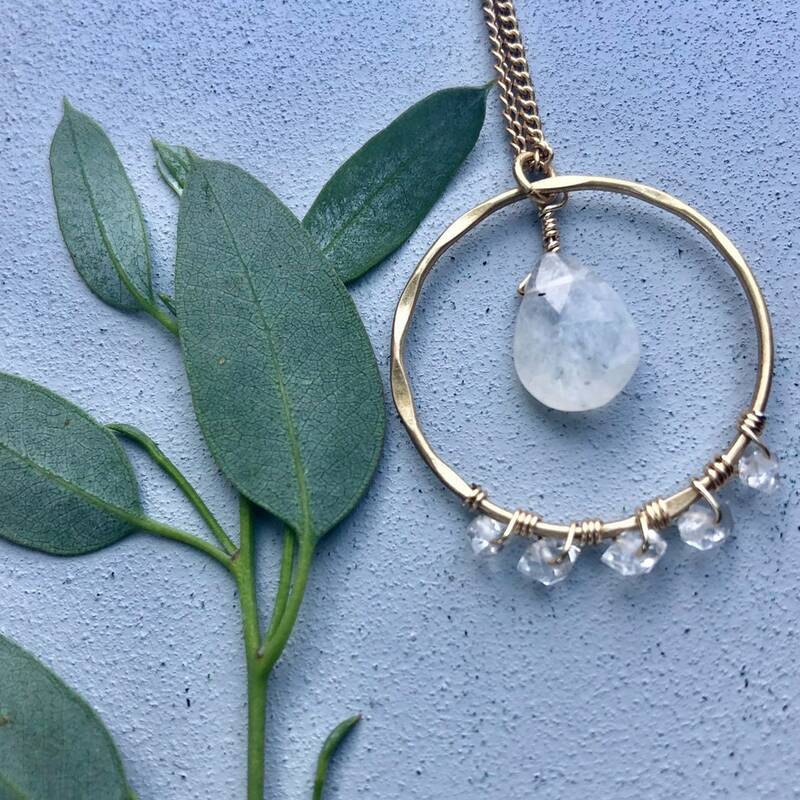 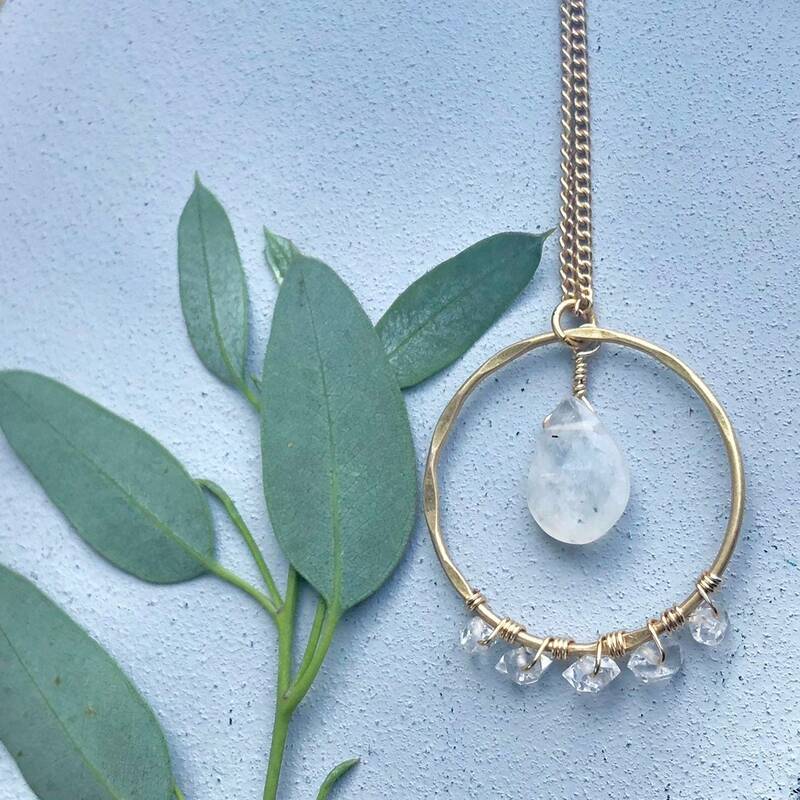 This lovely pendant necklace is adorned with a faceted moonstone briolette and wire wrapped herkimer diamonds. 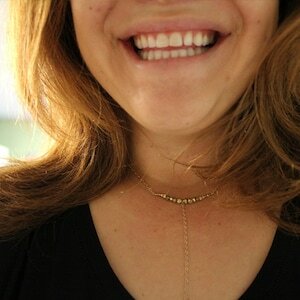 The matte gold place chain measures approximately 20” with the pendant dropping an additional 1”. 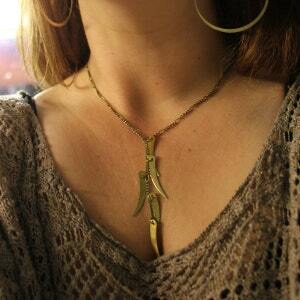 The chain length can be altered upon request! 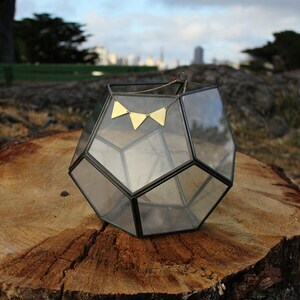 Made with love in San Francisco, California!